Postcards require special attention so that they meet post office requirements for mailing. 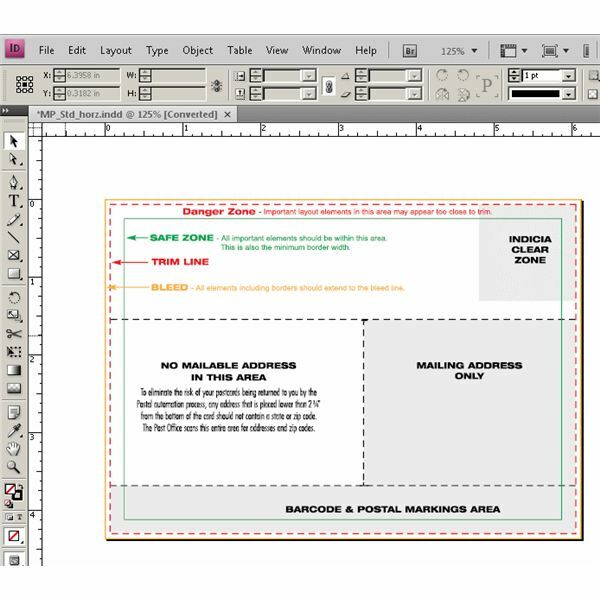 To help with this, many online printing services offer a free InDesign postcard template to help customers make sure that their postcards have the proper areas available for addresses, and bar codes. These templates also serve as guides to ensure that postcards meet postal size requirements. 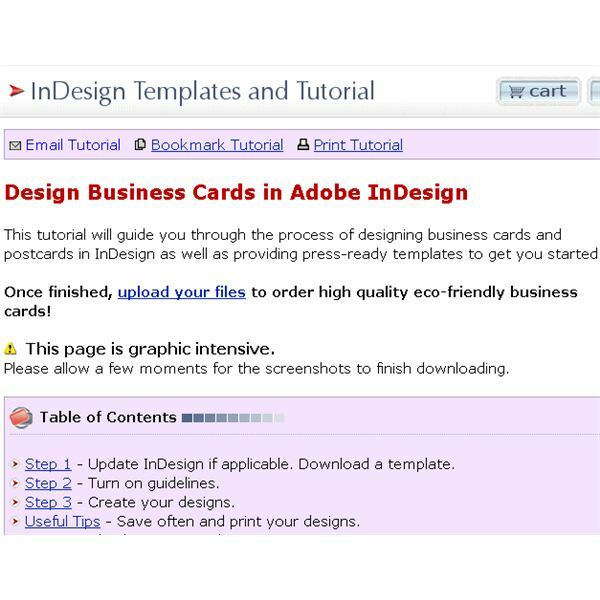 Templates such as the one shown here from Modern Postcards help Adobe InDesign users comply with the necessary postcard design standards. 48 hour print has an array of free templates that you can use to provide guidance for your postcard project. these templates range in size from 4.25" x 5.5" postcards to 8.5" x 11" full size postcards. When using different sized postcards, keep in mind that postage rates will vary. Stock Layouts wants to sell you InDesign templates, so it graciously provides a free postcard template for your use. Although the hope is that you like the free template so much that you will purchase others, the download provides you with an outstanding template that you can use to make professional looking postcards using InDesign. 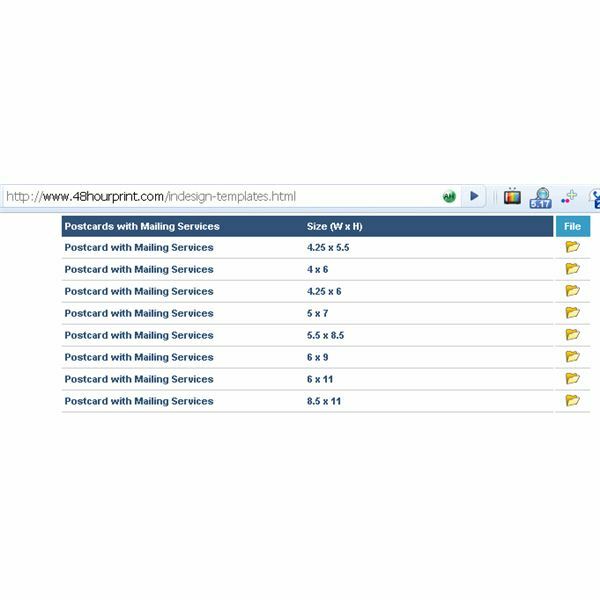 Incidentally, visitors to the HP Design Studios Web site will find that the postcard templates found there link to premium templates at Stock Layouts. Not every one of these templates is provided in hopes of making a sale. Adobe has a free template that has no business interests connected to it. After visiting the InDesign section of the Adobe Exchange, search for postcard templates, choose one that appeals to you and then download it. GreatFX has postcard template for InDesign and a useful tutorial that guides you through the process of using Adobe InDesign to create fantastic postcards for marketing. This a standard 4×6 layout that many InDesign users will find useful because it defines the safe zone for images, the bleed area, and the trimming zone. With this design you can rest assured that your layout will print correctly to postcard format. 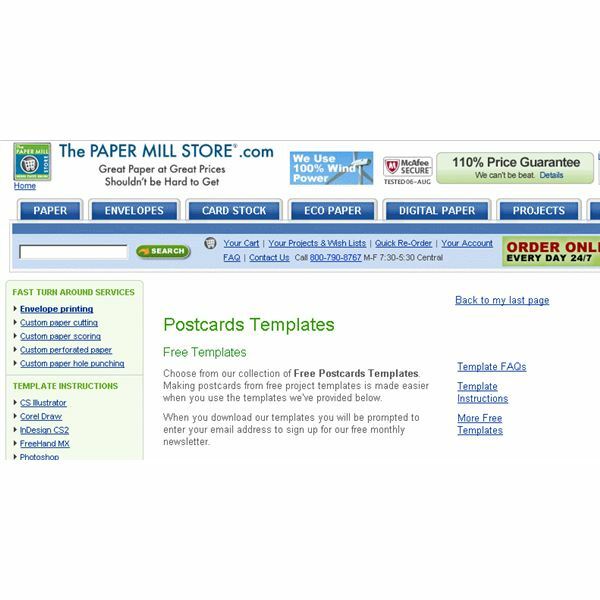 You can find an InDesign postcard template at The Paper Mill Store that you may find more useful than any of the others. These templates help you design postcards designed for 8.5" x 11" digital print postcard paper. This means that you can either print your postcards yourself from a standard printer or have your postcards printed by a commercial service. The usefulness of postcards for marketing, correspondence, or other communications should not be underestimated. The templates listed here will help you get started designing outstanding postcards that measure up to postal regulations. As part of your preparation process, be sure to check the current postage rates for postcards, as their size generally determines how much they will cost to mail.